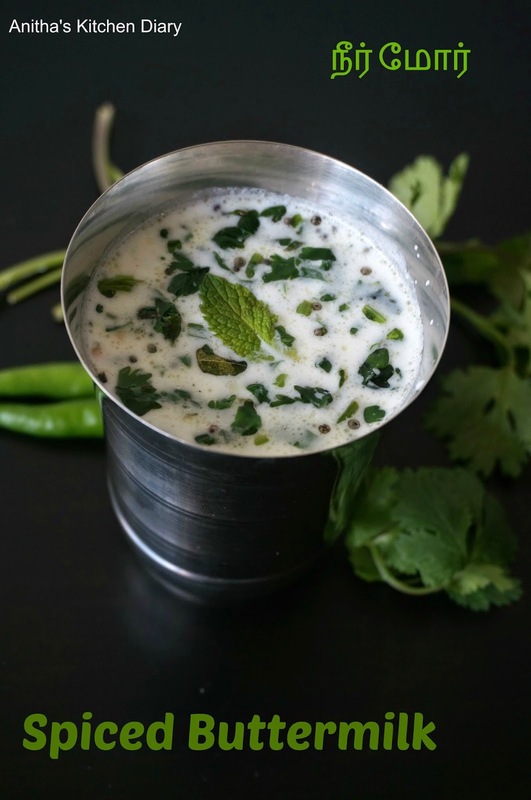 Inexpensive way to beat the heat is neer nor or spiced buttermilk.Not only inexpensive and easy to make.Having this in hot midday make you feel chill. In a bowl take curd and water whisk well. Add required amount of salt and mix well. Heat oil in a pan , add mustard seeds.Once splutter add hing ,curry leaves,green chilli and ginger one by one. Pour this tempering to curd and mix well. Garnish with coriander leaves and serve. You can serve as it is or refrigerate for half hour and then serve.